Welcome to the second edition of the Quarterdeck, the monthly Amver podcast featuring Benjamin Strong and Admiral Jim Watson. In this episode learn about what went on at the CMA Shipping 2011 exhibition in Stamford, Conn., learn about the U.S. Coast Guard's response to piracy and how social media is being used in the maritime community. Who's still thinks it can't happen to them? Is it you? Perhaps you, over there, with your head down. The bottom line is that the next maritime emergency could happen right.... now. Want to be part of an organization that is available to help rescue people in such emergencies? Enroll your ships in Amver and boom- you're part of the solution. Help us welcome 20 more ships that have agreed to help if necessary. So much of shipping can be a mystery. How about IMO numbers. What are they? What about Protection and Indemnity Clubs. What are they? How does AIS work? What is a NAVTEX? What is the Box Club? The Box Club is the International Council of Containership Operators and even its address is a mystery! Amver isn't a mystery. Some people might think its a bit dated, and it does have its roots in the vacuum tube computer world of the 1950s, but today Amver is a modernized search and rescue system capable of receiving thousands of ship messages a day and saving hundreds of lives a year. A shipping company enrolls their ships (this can be done on the vessel or entire fleets can be enrolled by folks in the operations department). The ship sends periodic position reports to the Amver system (using a variety of methods including the Amver/SEAS program partnership with NOAA or Pole Star). A distress is received by a rescue coordination center (either from DSC alerts, VHF, EPIRB, or other methods). Rescue authorities begin going down a checklist of response procedures which may involve launching boats and aircraft. Rescue authorities may also request Amver data to see if any commercial ships are in the area. If a ship is identified, it is requested to divert. An Amver ship diverts, saves a lives, continues on its journey. If you're part of this process we're thankful. If you're not part of our system we would be honored to have you join. There's no cost, no greater responsibility to respond than you already have. Now that you know Amver isn't a mystery, will you join? Despite the fact Amver doesn't sell a product we still wonder who we serve. Do we serve the shipping community? Do we serve people who need to be rescued? Do we serve the search and rescue community? The answer to all of those questions is Yes! If you're in shipping we certainly want to have a relationship with you. We can do that whether you enroll your ships or not. Why would you enroll? Because you could save a life, or yours could be saved. That seems reasonable doesn't it? If you sail you may need to be rescued. Here's one sailor's tale of survival at sea. If you're a search and rescue professional you could probably use Amver information to help save lives in your region. Don't know how to ask for Amver data? Just look here to learn how. Mr. Jeffrey Lantz, if you don't know the name you should. Mr. Lantz is the United States Coast Guard nominee for the position of IMO Secretary General. Who is Mr. Lantz? Take a look. Jeffrey Lantz is the current Director of Commercial Regulations and Standards for the U.S. Coast Guard. A 1974 graduate of the Coast Guard Academy, Lantz's specialty is in naval architecture, marine and mechanical engineering. He also serves as the head of the U.S. Delegation to the IMO Maritime Safety Committee (among other committees and subcommittees) and is Chair for the IMO's Council, the organizations second highest governing body. Amver knows Mr. Lantz as someone that recognizes the importance of our partnerships and the work we do to save lives. Mr. Lantz has helped champion Amver related issues in the IMO and always takes time to see what we need or how we can improve our international search and rescue program. No doubt he'll carry that level of enthusiasm and dedication to the IMO. If you've met him you know. Our own Commandant, Admiral Bob Papp, had this to say about Mr. Lantz. “Jeff is one of the Coast Guard's best senior leaders who has superbly managed commercial maritime regulation with the care and precision it requires," said Coast Guard Commandant Adm. Bob Papp. "He is a skilled engineer, effective manager and strong negotiator who has demonstrated a keen ability to lead and overcome budgetary and technical challenges over his 36-year career. These strong regulatory and supervisory abilities have enabled him to greatly improve the quality of U.S. commercial shipping. I am absolutely certain he will deliver the same quality and competency if elected as Secretary General of the International Maritime Organization." Secretary of State Hillary Rodham Clinton also thinks Mr. Lantz is the right person for the job and said as much in her nomination letter. We wish Mr. Lantz all the best in this endeavor. If you want to learn more about Mr. Lantz's nomination please visit the US Nomination page. 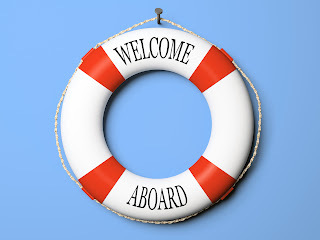 As we celebrate shipping at the Connecticut Maritime Association Shipping 2011 conference we also want to take a moment and celebrate the latest additions to the Amver safety network. The following ships have enrolled in Amver this past week. Thank you for joining and helping ensure no call for help go unanswered. There's still time to head to Stamford, Conn. for Shipping 2011. Will we see you there? If you're in the New York area Wednesday March 30, 2011 you might be interested in the Working Harbor Committee's Women At Sea program. The program will include a screening of the film Shipping Out, The Story of America's Seafaring Women and a panel discussion from several notable maritime women including U.S. Coast Guard Captain Linda Fagan, Commander of Sector New York (and friend of Amver). Are there women contributing to Amver? You bet there are! 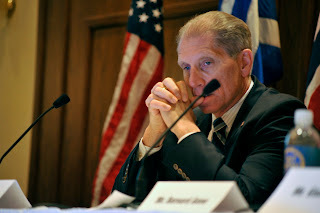 In fact, here is a photo taken at the 2010 Propeller Club, Port of Piraeus Amver awards ceremony in Athens, Greece. Pictures is U.S. Coast Guard Rear Admiral Cari Thomas, (third from left) with Chief Officer Christina Tzouganatou from the Tsakos owned ship Andes. Amver salutes all women in shipping. Want to read more about women in shipping? Take a look at the Coast Guard Compass for a recap of the Women's Leadership Symposium. Happy Women's History Month! Were any Amver ships damaged in the Japanese tsunami? The Maritime Bulletin has a good list of vessels sunk or damaged in last week's tsunami. We checked to see how many were enrolled in Amver. CORAL RING, IMO number 9337092, was damaged while discharging coal at Onahama. All crew reported safe. An Amver participant. SHIROUMA, IMO number 9181895, ran aground near Haramati. The crew is safe. An Amver participant. C.S. VICTORY, IMO number 9266140, was in Ishinomali when the tsunami struck and sank in shallow water in the harbor. An Amver participant. CHINASTEEL INTEGRITY, IMO number 9266140, pushed aground in Kashima when tsunami struck. An Amver participant. ASIA SYMPHONY, IMO number 9178070, was washed onto the road along the shore of Kamaishi by the tsunami. Not an Amver participant. GLOVIS MERCURY, IMO number 8907307, was washed up on shore in Sendai, Japan due to tsunami. Not an Amver participant. KHRIZOLITOVIY, IMO number 8730481, while in Ofunato port was grounded and dragged back to sea in the tsunami. Several crew injured. Not an Amver participant. VESSEL UNDER CONSTRUCTION, ship with 80 crew/workers washed out to sea but all crew were rescued. Not yet enrolled in Amver. KOSHIN MARU, IMO Number 9222728, presumed grounded or sank. Not an Amver participant. EMU ARROW, IMO Number 9144392, discharging cargo in port of Kashima when it collided with other ships but remained afloat. An Amver participant. Vessels avoid transiting within 50 miles (80 kilometers) of the Fukushima Nuclear Power Plant at position 37 degrees 19 minutes north, 141 degrees 01 minutes east. 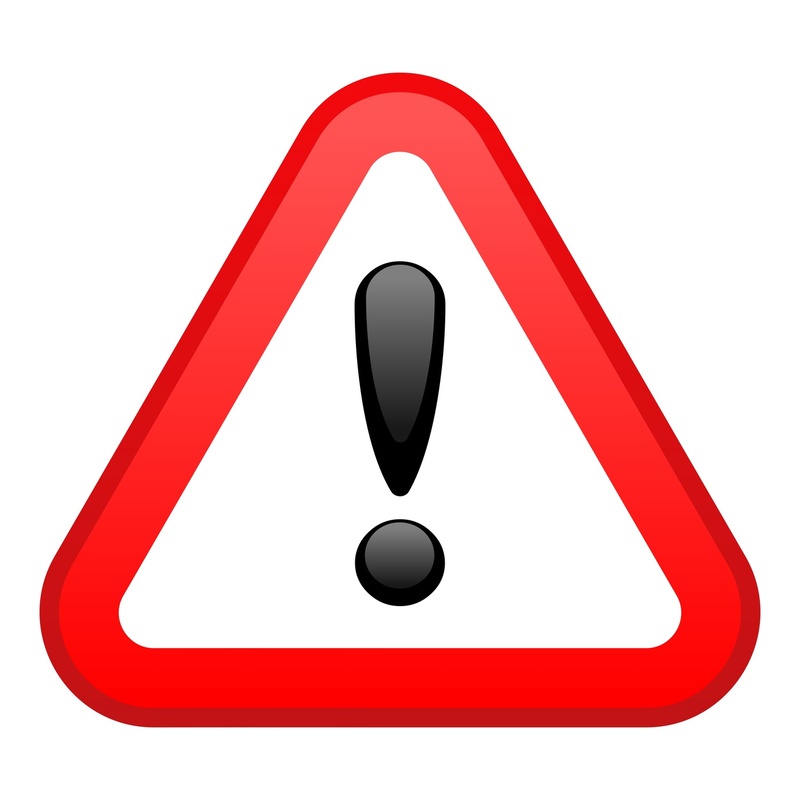 Mariners are advised to monitor and comply with NAVTEX and NAVAREA XI warning. Mariners should keep abreast of information being provided by the government of Japan relating to any further potential impacts. In the event a vessel bound for a U.S. Port transits within the 50-mile (80 kilometer) precautionary area, the U.S. Coast Guard recommends the vessel's master submit transit information, including the date and total time within the precautionary area, to the cognizant U.S. Coast Guard Captain of the Port using the comment block of the 96-hour advanced notice of arrival. Are you attending the Connecticut Maritime Association's Shipping 2011 conference and exhibition in Stamford, Conn. March 21-23, 2011? No? Perhaps you should reconsider. Need a reason to attend? Here are CMA's top 10 reasons to attend. Full steam ahead! Topical and valuable conference program with customizable multi-track seminars. Key decision and policy makers in one place, at one time (including our own Coast Guard Commandant, Admiral Bob Papp). Diverse, dynamic and global exhibits showcasing exceptional services, products and innovations. 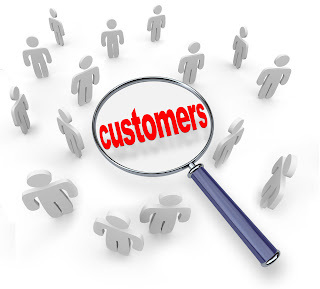 Launch a new product or service to an attentive and knowledgeable audience. Initiate, pursue and accomplish a year's worth of business in just two and a half days- saving time and money! An event put on by the shipping industry for the shipping industry. Located in the midst of the shipping's mind and management for North America. Where decisions are made and business gets done. If you have not been to one yet, come see for yourself why everyone raves about the CMA. And a bonus reason to attend CMA Shipping 2011? To meet the Amver staff at booth G-104! If you can't participate in person there are several ways to stay tuned in. You can follow what's going on via Twitter by searching #cma2011 or you can watch the piracy panel live by accessing the UStream webcast on Tuesday March 22, 2011 at 14:15 Eastern Daylight Time. What is the Coast Guard doing about piracy? In case you're wondering what the U.S. Coast Guard is doing about piracy you need look no farther than the official blog of the United States Coast Guard. On Tuesday March 15, 2011 Rear Admiral Kevin Cook, director of Prevention Policy, testified on the piracy issue before the House Subcommittee on Coast Guard and Maritime Transportation. Admiral Cook's testimony ranged from piracy to mariner safety. Admiral Cook reiterated the Coast Guard remains committed to helping reduce the threat of piracy. Read some of the other things we've written on piracy. You can read Admiral Cook's testimony here. Have you enrolled your vessels in Amver? Why not? Do you prefer to keep your vessels movements off the grid? Between AIS and other vessel tracking schemes your vessels whereabouts are already public. 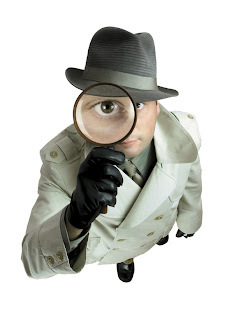 Why participate in Amver if authorities may already know where your ship is? Because the Amver system predicts the location of your ship, has information about your medical crew, and can determine the best vessel to respond. If you want to learn more about Amver take a peek at our video. Help us welcome the latest members of the Amver search and rescue system. We look forward to having you join us as well! Don't forget about the Amver podcast, Quarterdeck. You can listen to it here or search iTunes for Quarterdeck. Atlantic rower Victor Mooney was rescued Thursday March 10, 2011 by the Greek Amver ship Norfolk after his boat, Never Give Up, sank 250 miles west of the Cape Verde Islands as he attempted to row from the Cape Verde Islands to New York. Mr. Mooney, from Queens, New York, was attempting to raise money for AIDS medicines and awareness of voluntary HIV testing. The captain of the Norfolk said he was notified by rescue authorities in Gris Nez and Dakar to divert and find the rower. Within two hours of receiving the request to divert, a crewman from the Norfolk spotted a flashing light which turned out to be Mr. Mooney in his life raft. The Norfolk crew immediately started rescue operations and had Mr. Mooney aboard the ship within a few hours of locating him. "He was in good health despite weak legs," reported the Norfolk crew. The Norfolk, a 288 meter Capesize bulk carrier flying the Cypriot flag, enrolled in the Amver system on Sep. 6, 2002 and has earned eight Amver participation awards. The Norfolk is operated by Diana Shipping of Athens, Greece. Mooney had been adrift almost two weeks and even sighted another ship which passed by without offering assistance. "I'm blessed to be alive," wrote Mooney from the Norfolk. Mr. Mooney should arrive in Brazil on Tuesday March 15, 2011 and will return to the United States shortly thereafter. The Philippine Coast Guard has issued a Notice to Mariners regarding the Tsunami Alert for the Pacific Ocean. You can learn more at their website. You can also get the latest tsunami alerts from the Pacific Tsunami Warning Center. 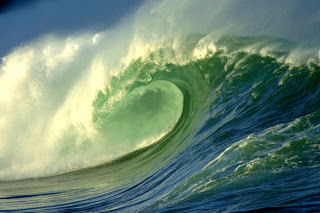 Ships in the Pacific Ocean should take necessary precautions for a Tsunami. What if you're on a boat or ship? Professor Stephen Nelson of Tulane University suggests you move the ship to deep water, at least 100 fathoms, or leave the vessel at the pier and immediately seek higher ground. The Tsunami Alert was issued after a large earthquake off the coast of Japan. The crew of the Amver participating tanker Delta Kanaris received recognition for their rescue of four French sailors in late February over 1,000 miles east of Puerto Rico. We blogged about the rescue a few days ago. As the Delta Kanaris pulled into the Port of Philadelphia, U.S. Coast Guard personnel were there to recognize the efforts of Captain Georgios Vatsas and his crew. Representatives from Sunoco and Delta Tankers were on hand for the presentation of a certificate of appreciation and an Amver pennant. (Left to right) Konstantinos Nikolados, Lt. Andrew Madjeska, Cmdr. Michael Antonellis, Carol, Ziegler, Georgios Vatsas, Theodoros Pelagiois, Georgios Rousos and Ronald Rosario pose outside Sunoco Inc., in Marcus Hook for an awards ceremony March 8 2011. Cmdr. Michael Antonellis, Coast Guard Sector Delaware Bay Office of Preventions, and Georgios Vatsas, master of the greek-flagged vessel, Delta Kanaris pose with an Amver pennant at the ceremony in Marcus Hook, PA.
What did the rescue look like? Take a look at these photos from the crew of the Delta Kanaris as the rescue unfolded at sea. Want your rescue photos included in an Amver blog post? Make sure you ship is enrolled in the Amver system and you could be the next story! Will the Portfire 40 winner please step forward? We are happy to announce the first Porfire 40 winner! What is Portfire 40? We announced Ryan Skinner's Shipcrunch initiative to recognize influential personalities in shipping a few months ago. The votes have been tallied and yesterday Ryan announced the winner, an elusive Wikipedia editor known as Haus. Why was Haus chosen? Because he has reportedly edited over 37,000 maritime Widipedia articles. That's certainly qualifies him for some sort of recognition. Sadly Haus isn't available to comment on his achievement or accept his award because he is underway; hopefully on an Amver enrolled ship! Congratulations to Haus for becoming the first inductee in the Portfire 40. Amver was proud to contribute and vote on the winner. The world of shipping changes quickly. 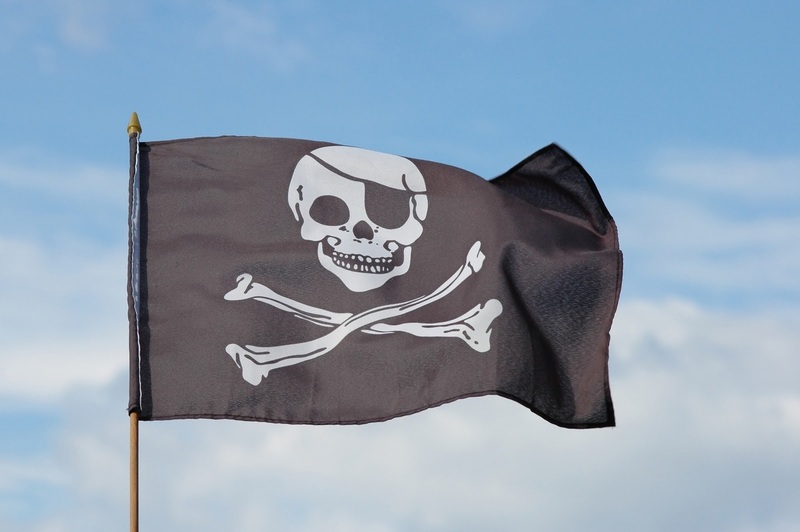 Piracy continues to plague shipping and pirates have expanded to hijacking pleasure yachts. The trade show circuit is in full swing with the Cruise Shipping Exhibition and the Connecticut Maritime Association Shipping 2011 shows on the horizon. What remains constant? The Amver system. 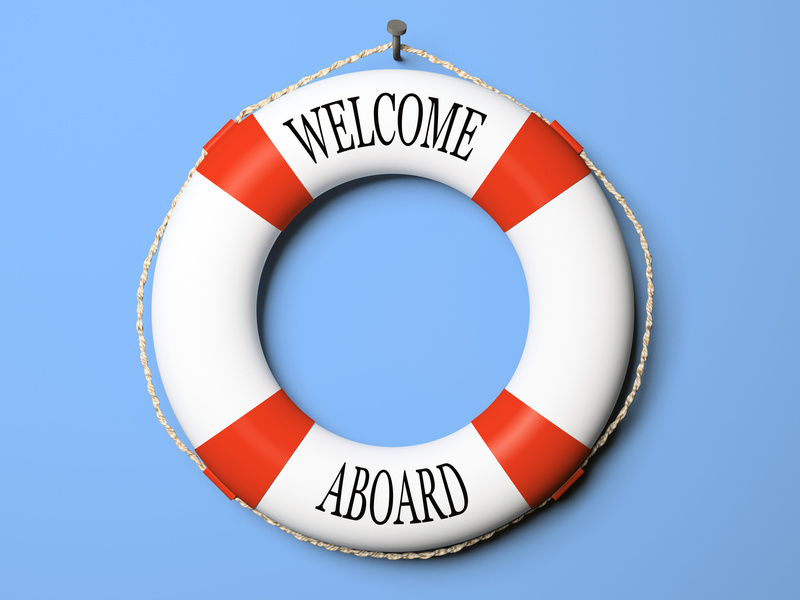 Help us welcome the latest vessels enrolled in the Amver safety network. Want to be a winner? Enroll your ship today! Amver ships are not the only vessels vulnerable to pirate attack in the Indian Ocean. The United States Coast Guard Boating Safety Resource Center has issued a warning to U.S. registered yachts and sailing vessels. The warning strongly urges yachtsmen from sailing in or around the Horn of Africa or Indian Ocean. The U.S. Coast Guard strongly advises against all operation of and travel by U.S. yachts and sailing craft, or by U.S. citizens on foreign registered yachts and sailing craft, on the Gulf of Aden, Arabian Sea, Somali Basin and the western parts of the Indian Ocean. A U.S. registered sailing vessel was hijacked by pirates in February 2011 off the southern coast of Oman in the northern Arabian Sea and all of its crew were tragically killed. This case is a stark reminder of the grave dangers of operating in these high risk waters, especially by recreational vessels. All mariners already in these waters are urged to register with the Maritime Security Centre (Horn of Africa) for up to date advice and guidance on passage round the Horn of Africa. They should also report regularly to the UKMTO (email: ukmto@eim.ae; Tel: +971 50 552 3215), giving location, course and speed, and plan their routing carefully to reduce the risk of an attack. Piracy is a significant threat in the Gulf of Aden and the northwest Indian Ocean and has occurred in excess of 1000 nautical miles from the coast of Somalia. Up-to-date information about attacks and pirated vessels can be referenced from the EU Naval Force Somalia web site. Sailing vessels are particularly vulnerable to attack due to their low speed and low freeboard. All mariners intending to sail through high risk areas should reconsider the necessity of their travel and alternatives, such as transporting the vessel by yacht carrier. Participants in yacht races and rallies in these high risk areas are at great risk of attack. These events are often publicized and could draw attention from pirates, despite the security and safety measures that might be put in place. The U.S. Coast Guard strongly advises mariners not to participate in events that will require transit through high risk waters. Requirements and amplifying guidance promulgated by the U.S. Coast Guard for commercial vessels intending to transit high risk waters are unaffected by this advisory. The UK Maritime Trade Organization (UKMTO) in Dubai is the primary point of contact for liaison with military forces in the region. Email at ukmto@eim.ae to join their voluntary reporting scheme, Tel: +971 50 552 3215, Telex: (51) 210473. Maritime Security Centre Horn of Africa (MSCHOA) is manned 24/7 by military and merchant navy personnel from various countries and coordinates with military maritime forces in the Gulf of Aden and the Indian Ocean. It is the commercial/civilian link with the EU Naval Force Somalia. Tel: +44 1923 958545, Fax: +44 1923 958 520, email: postmaster@mschoa.org. The NATO Shipping Centre (NSC) is the commercial/civilian link with the NATO maritime force. Tel: +44 1923 956 574, Fax: +44 1923 956 575, email: info@shipping.nato.int. The Maritime Liaison Office (MARLO) US Navy Bahrain, is a secondary point of contact after UKMTO and MSCHOA, but is manned 24/7. Tel: +973 3940 1395, email: marlo.bahrain@me.navy.mil. The International Sailing Federation (ISAF) You can read ISAF full set of updated guidelines here. The Greek participating Amver tanker Delta Kanaris rescued four French sailors Sunday Feb. 27, 2011 after the sailors activated their personal locator beacon (PLB) approximately 1,582 miles east of Puerto Rico on Saturday. The yachtsmen were sailing from the Canary Islands to Martinique when they encountered an unknown problem and activated the beacon. Captain Georgios Vatsas, the master of the Greek flagged tanker, responded to a request from U.S. Coast Guard rescue personnel to divert his Suezmax tanker to rescue the foursome. Within five hours of receiving orders to assist, Captain Vatsas made radio contact with the stricken sailboat and directed his crew to begin rescue operations. Captain Vatsas maneuvered the tanker alongside the sailboat to provide a lee "...from Beaufort force 6 winds and [a] sea state of about 15 feet..." said Captain Vatsas. Within three hours of locating the survivors all four were rescued without injury. The Delta Kanaris, managed by Delta Tankers, enrolled in the Amver system on May 12, 2010 and logged 167 days on the Amver plot last year while reporting over 30 days so far this year. It seems the Amver system has been saving lots of French yachtsmen lately. One French sailor was rescued in this case while another foursome were rescued in this case. The Amver tag line is "Saving Lives at Sea Since 1958" and that is made evident with every life we save. Since 1958 you have supported this network of mariner helping mariner by enrolling your ships. This week we bring you another 31 ships that have agreed to help in maritime emergencies. For that we are thankful. Is your ship listed below? It should be! Help us welcome our latest partners in safety. Don't forget the Amver podcast! You can hear the first episode and leave comments on the blog for things you want us to discuss. What popped up in our iPad this morning? John Konrad's new book Fire On The Horizon. 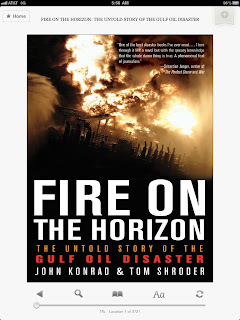 Konrad's book details the Deepwater Horizon from its keel laying to its fire and untimely demise. Amver participants might be interested in knowing the Deepwater Horizon rig was enrolled in the Amver system. You see, even fixed platforms and FPSOs have rescue resources and can participate in the Amver safety network. We'll have a video book review after we get through gCaptain's first book.